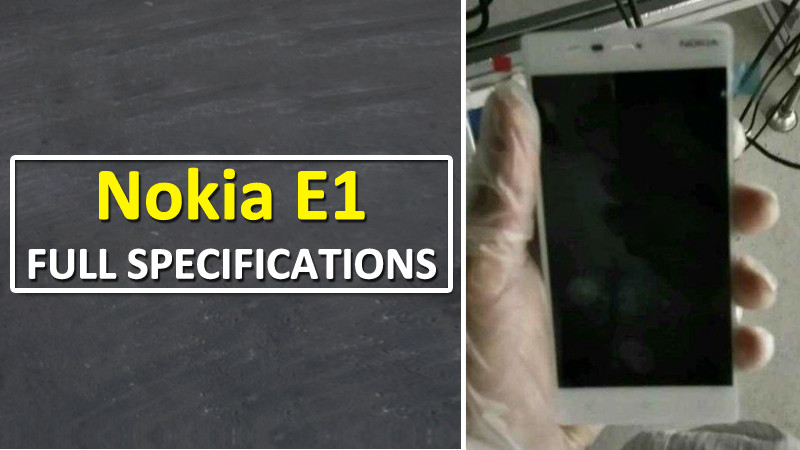 Recently, the new Nokia E1 leaked a couple of days ago and also got certified by the 3C authority in China. Now, the full specifications of Nokia E1 appear on the web. The Finnish company Nokia got the whole tech community excited after it was known that the company CEO, Rajeev Suri would be giving an essence at the upcoming MWC (Mobile World Congress), which is expected to take place early this year. Even a few days ago the new Nokia E1 got certified by the 3C authority in China. In the certification, the model number of the new Nokia E1 is stated as TA-1000 and along with it has its charging specification as 5V/2A and of course the manufacturer as HMD Global Oy. So these are specifications of the new Nokia E1 which may not seem so exciting, but, one thing that might make it stand out from other smartphones in the same price range could be the fact that Nokia will ship this new device Nokia E1 with the latest version of Android, which is Android 7.0 Nougat.